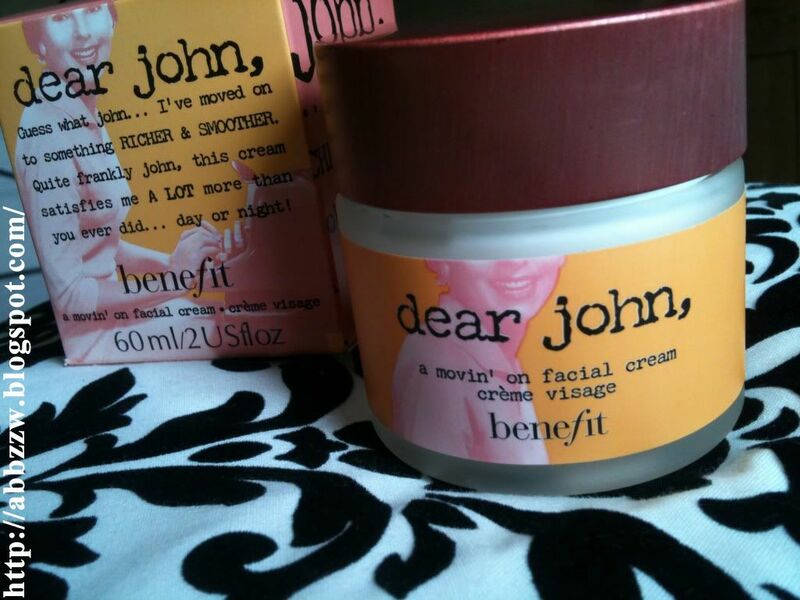 I've been using benefit's dear john for about 3 months now and figured it was about time that a raved about it. These photos were taken when I first bought the jar in my local boots for £26 and if I were to take one now there wouldn't be much of a difference in content. I'd say i've used about a quarter, if that! Now that's value for money right there. I don't use it all over my face a lot of the time because my skin is so combination that I can't. I have to avoid the oily areas of my face as they just do not need the moisture. This being the crease of my chin, either side of the lower part of my nose and hair line. The scent is a clean one, almost johnson baby lotion inspired.. simple and calming. I hate it when moisturisers to to be fragrant or vanillary, it's too overwhelming and uncalled for in a face moisturiser. I have tried a few 'good' moisturisers before and even after giving my skin a fortnight to get used to the product I would still break out often. This is the first moisturiser I have used that hasn't done that. In fact I barely broke out at all during my 2 week trial period. I find it too be creamy and not overly thick. It is a pure white opaque mix that sinks into my skin almost immediately leaving it silky soft and ready to apply my that gal primer. I find that if I were to go a day without using these 2 together then there is a disappointing result at the end of the day. The moisturiser acts as a base or a barrier as well as it's obvious attributes. 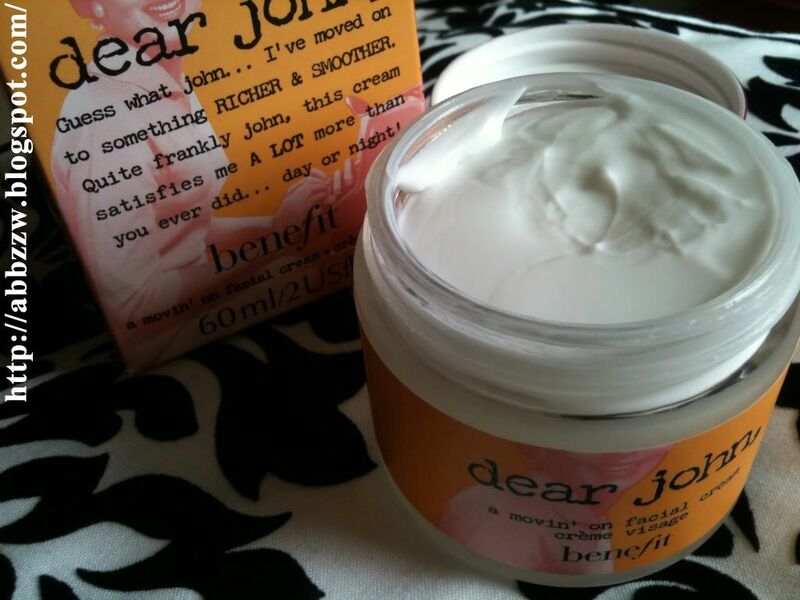 By using Dear John first it prevents That Gal from sinking into my skin which allows it to do the work of a brilliant primer all day long. If you like the sound of this then pop to your nearest Benefit counter and ask for a sample.. that's what I did in order to try it for 2 weeks and it was so worth the try! I'm now very happy in my own skin again which is surprising seeing as the nasty winter wind is in. oh wow this is one of them products that are probably dismissed but would love this! Oh that looks fantastic! I'm in need of a new moisturizer and it sounds great. Thanks for this because now I'd really like to try it! Brilliant review! I'v actually been thinking about getting this (Or at least getting a sample) for a while I've just never got round to it. Your review might have just made me decision as I'm a bit 'that gal' fan too!